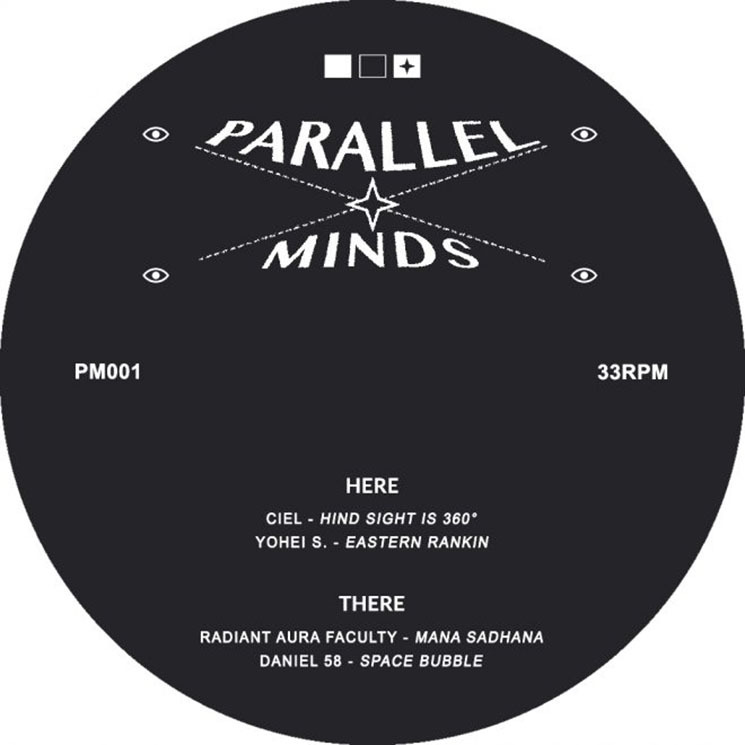 Following in the footsteps of Forth, the trio of Ciel, Daniel 58 and Yohei S. have founded their own label, Parallel Minds, that sets out to showcase the underground electronic sounds of Toronto. Its inaugural release sees each of them (and their invitee Raf Reza) offer a slice of their music with some delightful surprises. Undoubtedly the most known of the bunch, Ciel confidently leads the charge with "Hind Sight is 360°." Straying away from her usual chilled-out vibes, it comes out with a driving rhythm and a propelling bass line that backs the blissful, reverberated synths and vocal samples. It's both energetic and dreamy, and it's as euphoric as any of René Pawlowitz's house endeavours. "Eastern Rankin" from Yohei S. also differs from his usual lo-fi output, in what can be described as dubbed-out, minimal house. Sustaining a steady and swaggering rhythm, its sparse production gives way to a booming sub-bass that can hold its own against the rumble of old school dubstep, and that is just waiting to be unleashed on a proper sound system and overwhelm ravers. On the B side, both of Raf Reza's and Daniel 58's tracks take the retro route. Donning his new Radiant Aura Faculty alias, Raf brings it back to the '90s sound of new school breaks with "Mana Sadhana," as funky as it is menacing and cavernous. Finally, Daniel 58's nostalgia-tinged "Space Bubble" mirrors Ciel's track with its heavy and dreamy duality, and displays a dizzying-yet-catchy interplay of synths and percussion.